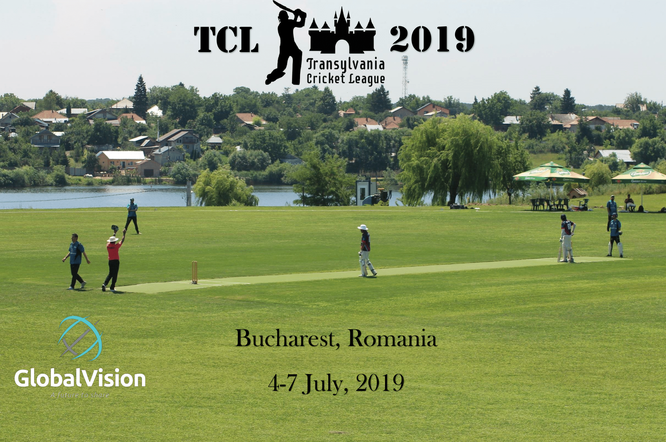 The TCL are pleased to announce that the 2nd Transylvania Cricket league will take place in Bucharest (Romania) between 4th – 7th July 2019 . 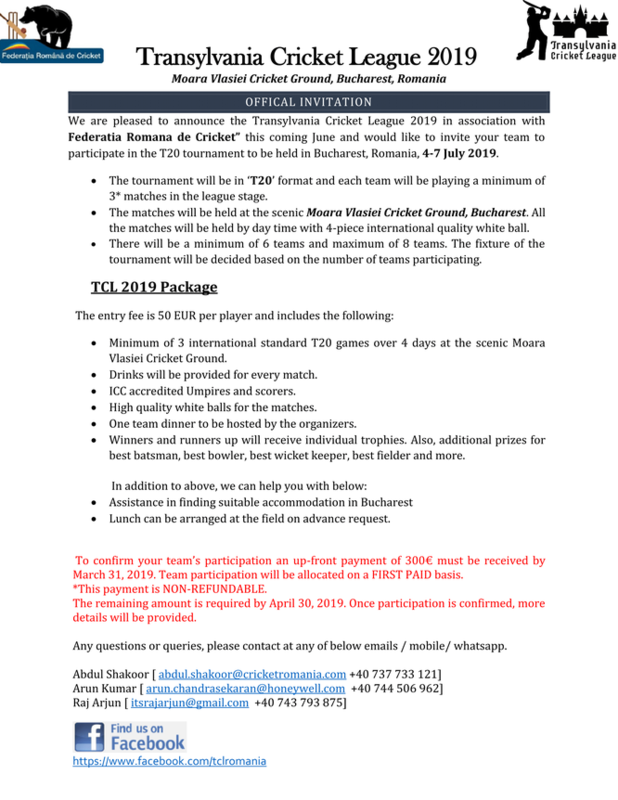 In 2019 the Twenty20 competition will be played on turf wickets with a white ball at the picturesque Moara Vlasiei Cricket Ground in Bucharest. The maximum number of team is 6 - and 2 slots have already been taken - so act fast and book your team's place by contactng Arun Chandrasekaran.